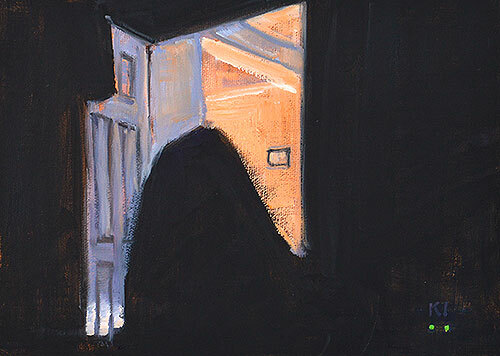 This entry was posted in Figure Paintings and tagged 5 x 7 inches, ghost, interior, night, nocturne, oil on panel, surreal, weird stuff on December 13, 2014 by Kevin. 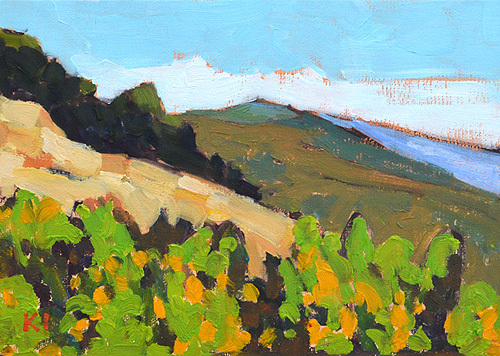 This entry was posted in Figure Paintings, Landscape Paintings, San Diego Paintings and tagged 5 x 7 inches, california, landscape, mountains, oil on linen on panel, painting, santa barbara, santa ynez valley on April 14, 2014 by Kevin. 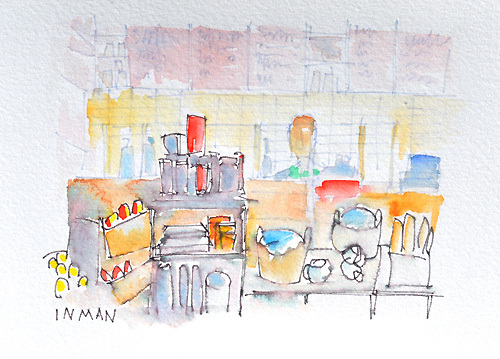 This entry was posted in Figure Paintings and tagged 5 x 7 inches, breakfast, coronado, figure painting, interior painting, morning coffee, starbucks, watercolor on October 13, 2013 by Kevin. A page from my sketchbook. At last night’s figure drawing group, the model showed up in a fur bikini and feather headdress she’d designed and made herself. 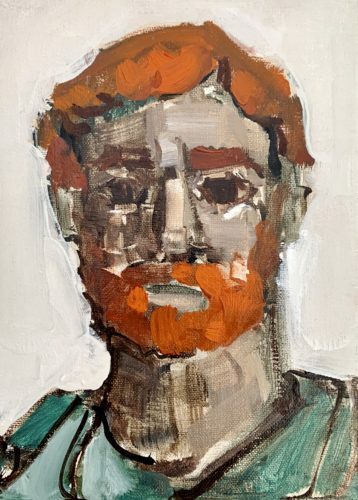 I don’t post much figure work here since it’s usually nudes and I like to keep the site G-rated. I hope you enjoy this one- it’s a quick sketch just before I left for the night. 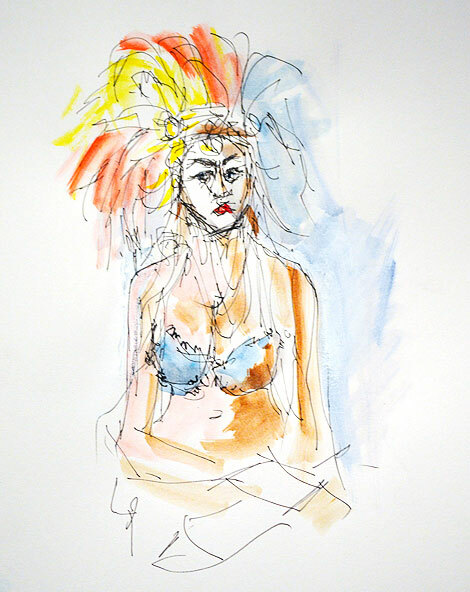 This entry was posted in Figure Paintings and tagged feathers, figure, fur bikini, headdress, watercolor on January 15, 2013 by Kevin. 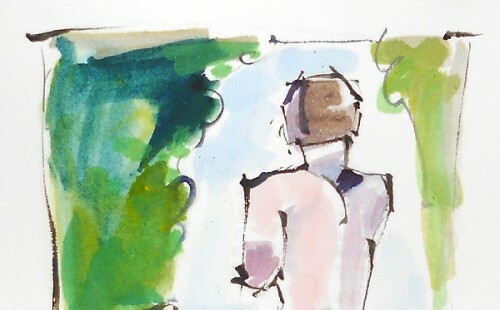 A watercolor figure painting- for the uncropped image, please head over to my Flickr account. This entry was posted in Figure Paintings on September 26, 2012 by Kevin. Painted from life during drawing group Sept 17, 2012. Please click through to see the full, uncropped version at my Etsy shop. 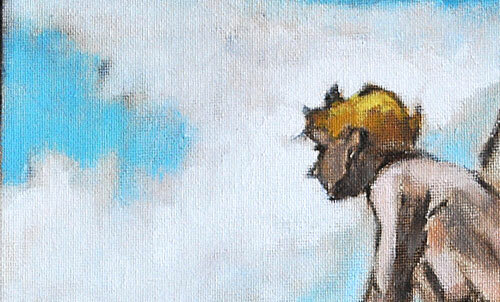 This entry was posted in Figure Paintings on September 19, 2012 by Kevin. 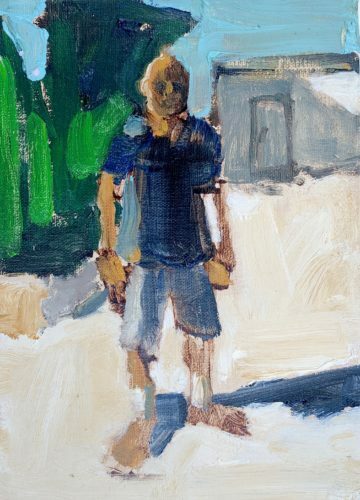 This entry was posted in Figure Paintings on August 28, 2012 by Kevin.